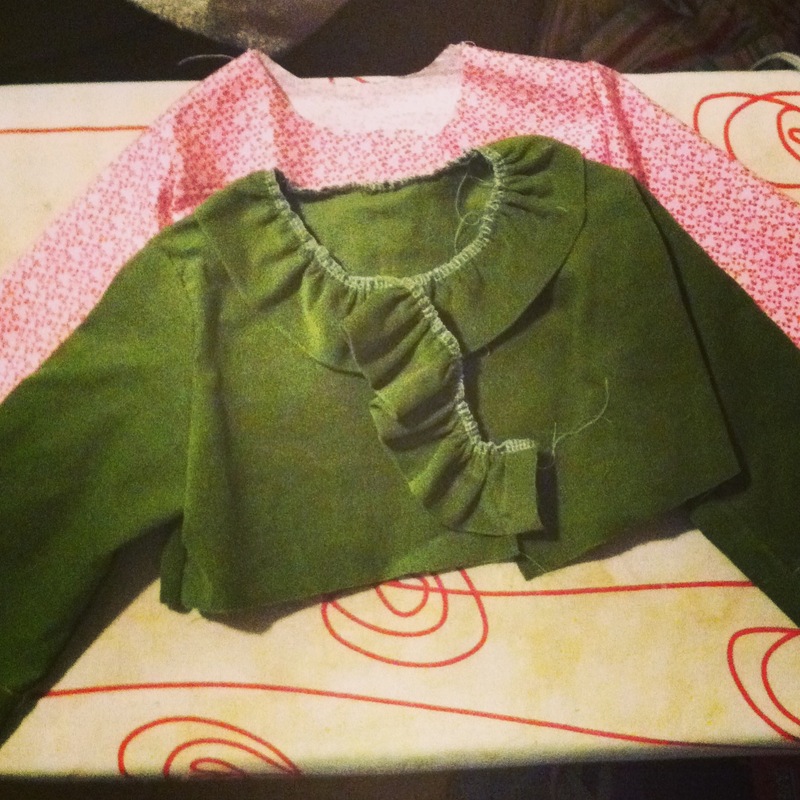 Well I managed to sew for at least the hour on days five and six of Kids Clothing Week. But there was not a lot accomplished. We are installing a new huge french door off of our living room so we’re deep in door madness this weekend and I’ve spent the majority of my time corralling Bean away from the construction. It doesn’t help that the door is in the room in which we spend 90% of our time, bleh. But other than a weekend lost, it will be SO NICE to have a lovely and more importantly functional door in that space. So what I did accomplish days five and six is a big chunk of the spring jacket for Bean. This is the Annabelle Jacket (affiliate link) pattern from Peek A Boo Patterns and I’m in love with how it’s coming along. The green corduroy will be the outside, with the pink quilting cotton as the lining. I should be able to finish up the last of the details quickly so with any luck Bean will be wearing it before it gets too hot to wear it, hehe. We're planning an upcoming house project too- I dread the corralling. Excited to see the jacket! I hopped over here from PRP and looked through your archives a little. I fell in love with the Annabelle Jacket! So cute. All of my daughters have their own now and so many people have asked where we got them. Peek a boo patterns really do a great job!